Technology for Individuals and Non-profits. Individuals and families that meet our eligibility requirements can receive a computer, computer repair, internet service and learning resources. Businesses and government agencies can take advantage of our free corporate services including certified data sanitization. Tax exempt 501(c)(3) organizations are eligible to purchase computers and internet services in bulk for their organization. Electronic waste from your home can be recycled for free at any of our drop off facilities. Some TVs and monitors may require a small fee. To receive technology from PCs for People a potential recipient must be below the 200% poverty level or be currently enrolled in an income-based government assistance program. You can read more about eligibility and about the documentation required by clicking here. Nonprofits are also eligible recipients of technology and can learn more here. Computers and Low Cost Internet. PCs for People refurbishes desktop and laptop computers for distribution to eligible recipients.  As a Microsoft Registered Refurbisher, we are able to provide computers with licensed copies of Windows 10. We also have more economical machines that include Linux or LibreOffice. Every desktop includes a mouse, a keyboard, power cords and monitor cords at no additional cost. Monitors, accessories, hardware upgrades and additional software (such as licensed Microsoft Office) are available for an additional fee. Computers are available for a donation from our stores or can be purchased online at www.pcsrefurbished.com. In addition to computers, PCs for People offers high speed 4G LTE internet service for as low as $11.25 per month. Plans are prepaid with no credit check or hidden fees. An internet service purchase includes, a wireless LTE modem, service (various plans available) and unlimited 4G LTE service. You can visit our office to purchase a device or purchase it online and receive the device within 3-5 business days. 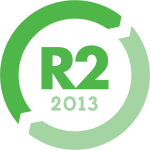 Certified Data Destruction and Sustainable Recycling. PCs for People provides free pick up and recycling of electronic waste from businesses, educational and governmental organizations. PCs for People is the only recycling business in Minnesota and one of only two in Colorado that has both NAID AAA and R2 certifications, meaning your data is protected through strict adherence to the highest standards of information destruction, hard drive sanitization, and all recycling is environmentally responsible. Since PCs for People accepts nearly all electronic waste - including computers, peripherals, monitors, cables, drives, and more - you need just one company. PCs for People has a goal of distributing 14,000 computers in 2018. In order to help us reach our goal we need your help. Convince your employer to recycle their electronics with PCs for People. Clean out that closet full of old electronics and drop them off at our office. Consider making a tax deductible cash donation to help us provide computers to families for free.